Car makers should be focused on the future, on the next car to come down the assembly rather than the last. However, lately it seems GM is spending more time dealing with problems from yesterday’s cars than making tomorrow’s. Our San Francisco auto accident law firm is always concerned when an auto recall is announced and earlier this week The San Francisco Chronicle reported that GM had added six new recalls to the sixty already announced. The new recalls mean the auto giant’s recalls for 2014 cover more than 29 million vehicles. While note every recall involves a problem that has been known to cause accidents, a piece in last week’s Wall Street Journal focused on a problem initially linked to at least 54 crashes and 13 fatalities. The actual toll may be much higher. GM recently began a compensation program and in the first eight days received approximately 120 claims, half of which involve purported fatalities and another dozen or so that involve catastrophic injury. The issue, which led to a recall of around 2.6 million cars, is a possibly faulty ignition switch that could slip out of the “on” setting, abruptly stalling the vehicle and disabling its air bags. Distressingly, reports say that GM knew about the underlying problem for over a DECADE, but only began to recall and repair affected vehicles this February. A compensation program aimed at the ignition switch defect (note: the defect above, not to be confused with a more recent recall for an ignition-key problem that could cause SUV window-switches to catch fire) is expected to offer payments from $20,000 to several million dollars. Claimants must show: (a) they were hurt or their family member was killed (b) in a crash involving a vehicle on the relevant GM recall list (c) and a police report or similar reputable source shows the air bags failed to deploy. Under the plan, a fatality will automatically qualify for a $1 million pain and suffering payment above and beyond other damages. Ken Feinberg is overseeing the program for GM and expects it will to take until after Labor Day to evaluate the eligibility of the initial claims. Ultimately he hopes to be able to make payments within 90 days of an eligibility ruling for simple claims and within 180 days for more complex matters. A booklet published by the National Highway Traffic Safety Administration (“NHTSA”) discusses the auto recall program and its goals. Recalls are issued when either a safety-related defect exists or a vehicle/equipment piece does not meet federal standards. Typically, manufacturers issue recalls voluntarily and prior to NHTSA involvement. Once the safety issue is identified, the manufacturer can choose from three remedies: Repair the vehicle (at no cost); Replace it with an identical or similar vehicle; or Refund the purchase price (minus depreciation). Beyond the recall remedies, victims injured because of the defect still have a right to be compensated for their injuries. 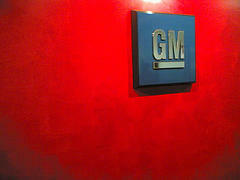 A program like GM’s, however, will presumably require waiving any civil claim in return for the compensation payments. The program is, essentially, a settlement offer. As with any settlement offer, we strongly urge injured victims and grieving families obtain legal counsel before signing anything. You do not need to agree to a program that allows the car company to make a one-sided offer, a program managed by their lawyers and in their best interests. If you were hurt or lost a loved one in Northern California as a result of a faulty ignition switch or any other recall-related defect, whether it is a GM recall or a recall by another manufacturer, call our firm. With three convenient offices, our auto recall law firm in Santa Rosa, San Francisco, and Oakland will help make sure you get the compensation you deserve.